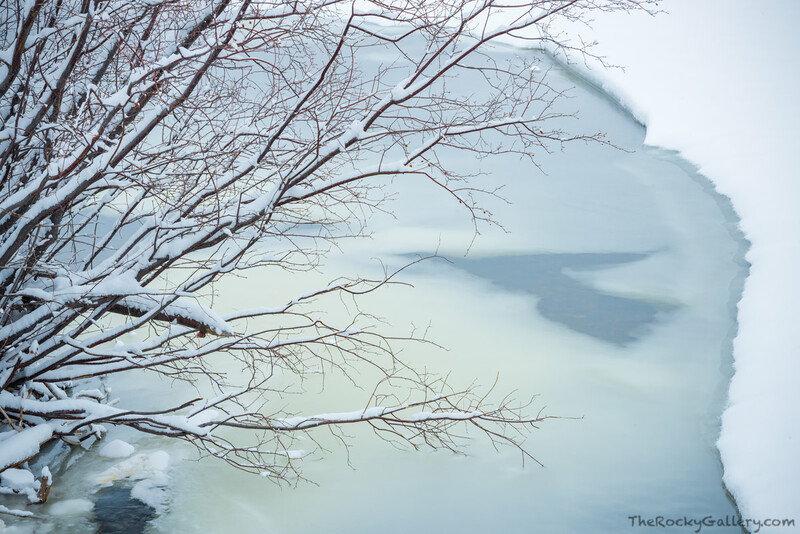 A river birch hangs over the frozen Big Thompson River on a snowy February day in Rocky Mountain National Park. Warmer temperatures the week before had thawed the Big Thompson which turned then turned into a beautiful blue slushy like mix as a new storm with colder tempartures and snow started to regain its frozen grip on this part of Moraine Park. Photo © copyright by Thomas Mangan.